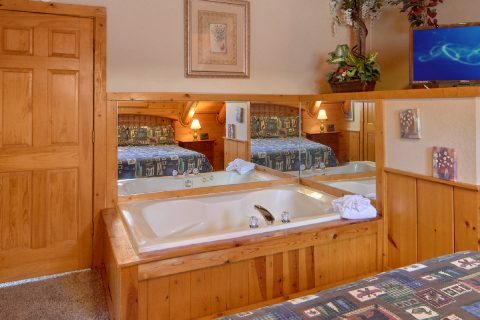 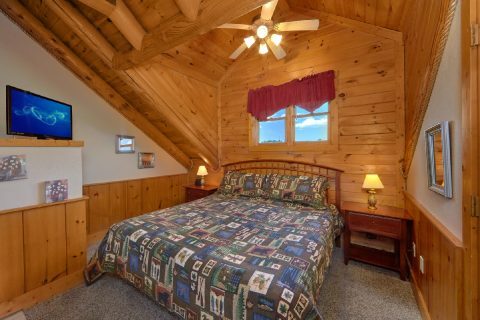 Dainty's Digs is located in Golf View Resort cabins Pigeon Forge near Dollywood Theme Park. 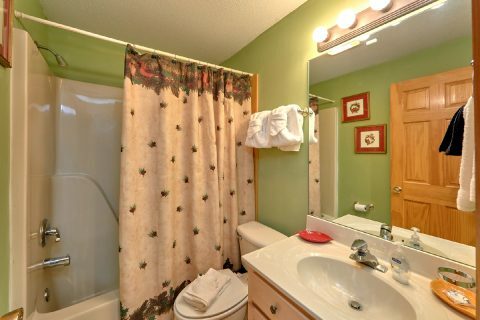 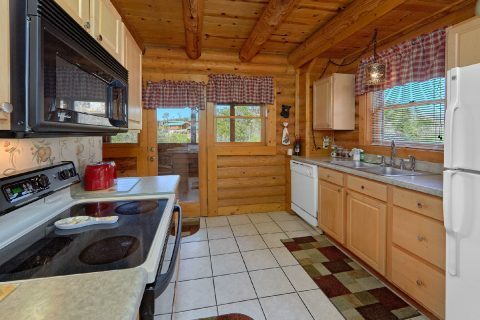 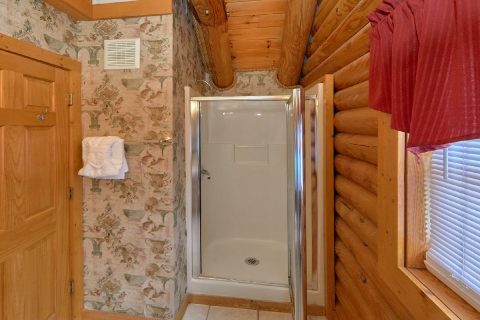 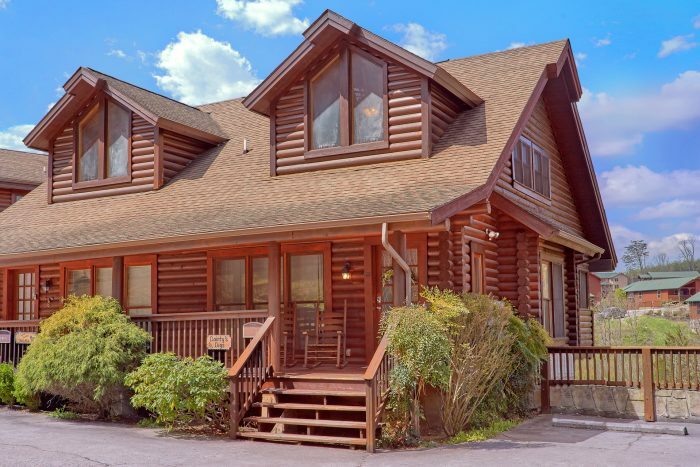 This is a tri-level cabin duplex on the trolley line, two blocks off the main Pigeon Forge parkway, and a half-mile from Dollywood. 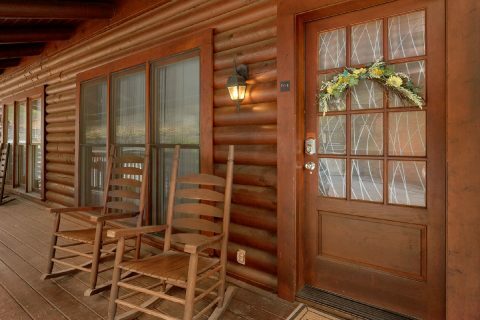 It's a perfect location to enjoy outlet shopping, rides, amusements, dining, and all the excitement Pigeon Forge has to offer visitors to the Smoky Mountains. 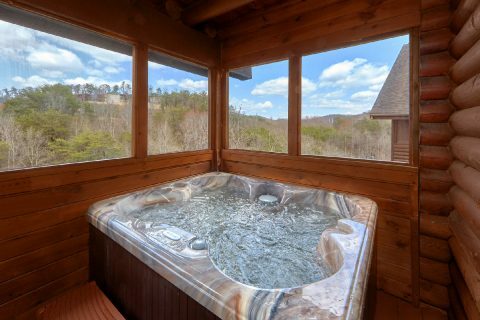 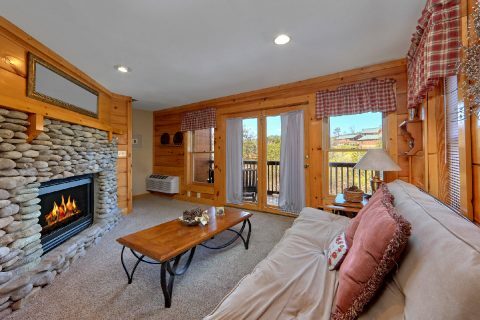 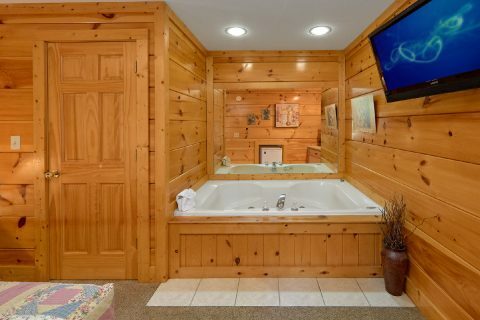 Your Golf View Resort cabin features resort swimming pool access to both the indoor and outdoor pools, WiFi Internet, fireplace, and screened in hot tub on the upper level. 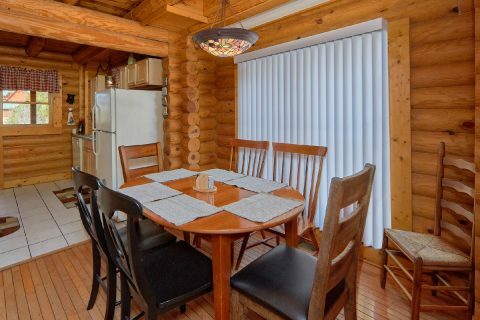 The cabin's main level has a living room fireplace (seasonal), dining area and fully equipped kitchen. 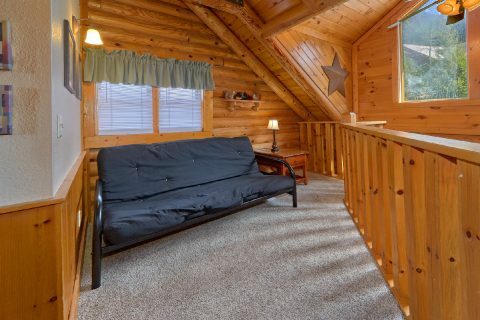 The upper level of the cabin duplex comes complete with a master suite with a king size bed, Jacuzzi and an extra loft sitting area with a queen futon. 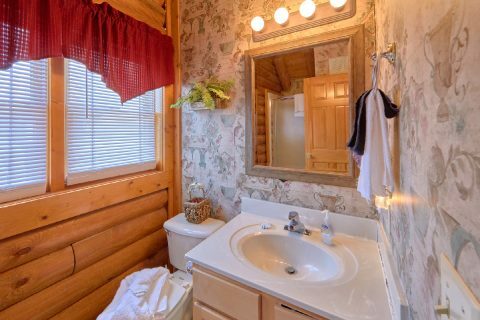 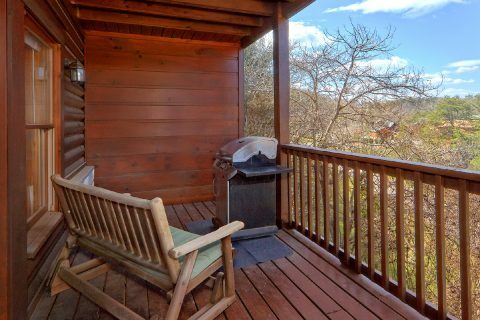 The lower level completes this beautiful cabin duplex with its cozy gas log fireplace, queen size bed, queen-size futon, in-room Jacuzzi and a well-equipped kitchenette. 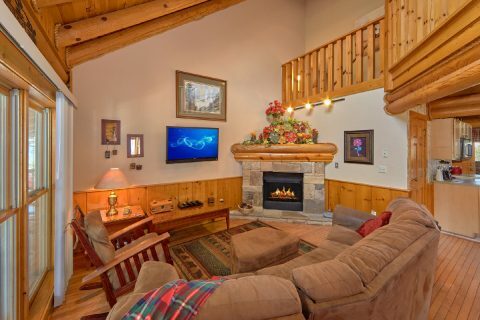 Each of the sleeping areas and living room have televisions. 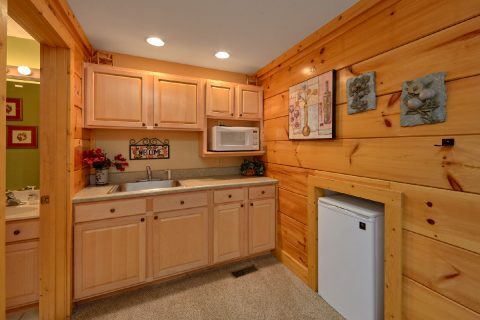 There's even a booster seat and a stroller for your family's convenience. 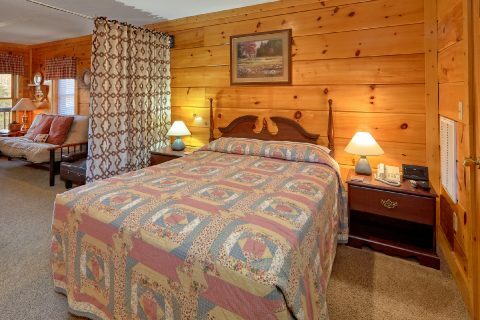 Book your Golf View Resort cabins online with Cabins USA and get immediate Online Savings to your cabin near Dollywood!